Hell has a chancellor, you know. Yes, the devil has oversight of the great fiery plains and mountain ranges which, it is held by some, await a proportion of us when we die. But to get anything done in hell is fiendishly difficult unless you know the right bloke to talk to. And if you ask that enough times you go up to the inner circle of Virgin customer service. The telephonic sanctum. Lucifer is far too lofty to help us with our figurative internet connections. For big demons to be involved in small stuff, you approach a character called Lucifuge Rofocale. I know this because Honorius of Thebes told me. Or rather, he wrote it down in his handy how-to for demon control, The Sworn Book Of Honorius, the Rentokil of the world of demons. No-one knows who Honorius was, or indeed, exactly when he wrote his recipe book; it was around by the thirteenth century, mentioned by Johannes Gottlieb in 1456. He includes nuts-and-bolts advice for he who wishes to control demons, alongside a brief organisational chart of hell itself. Alongside all his recipes, he names Rofocale as the demon who was most likely to get things done. But none of this was accessible to the common people: because who could afford lavish hand copied scripts? No: it was the advent of the printed grimoire which made Honorius’s work, and the plethora of grimoires which followed in its wake, available to Everyman. And indeed, to the lowliest of the low: to women. Women were about to get their hands on Rofocale. In 1599, the Church published Indexes of Prohibited Books, banning a whole range of grimoires. Their readership was itself demonised. I mention this because on this day, 400 years ago, a group of men and women from Pendle, Lancashire woke up to meet the second day of their trial at Lancaster Assizes. Six of the witches came from two families, each led by a woman in her eighties. It was common practice for people to call themselves witches, operating in effect as village healers: and when a pedlar on his way to Halifax was asked for pins by a local woman of hat persuasion -Alizon Device- he would not sell them. Witches used pins for dark deeds, he reasoned. As he walked away from her he stumbled – it is thought he suffered a stroke – and managed to stagger to the local inn. Alizon confessed she had told the devil to lame the pedlar, and through questioning began to implicate her own family and other locals. The thing snowballed. The trial was chronicled in The Wonderfull Dicouverie of Witches in the Countie of Lancaster. It makes surreal reading: talking dogs announcing themselves as demons, a Grimm tale long before its day. It is unlikely families such as this could afford a printed grimoire. Perhaps they had their own book of shadows, or relied on their recollection. Did they know the magic name of Luifuge Rofocale? Who knows. But this day, four centuries ago, did not end well for them. Posted in Quirks of HistoryTagged 1612, demons, grimoire, Honorius, Lucifuge Rofocale, Pendle, The Sworn book of Honorius, witchesBookmark the permalink. Recipes, dark indeed. And there I was hoping for a great ice-cream recipe…..
it will have to do, won’t it? Did they have copious amounts of LSD available in the times of yore Kate? You won’t get hold of Sir Richard, he’s probably trying to flog his transet on e-bay at the moment. No, once again I’ll have to settle for the minion, Jim. LSD would account for a vast amount, wouldn’t it? As I read the transcripts of the trial I realised we were looking at the equivalent of Jerry Springer 1612: poor families on the very edges of society battling it out in the full glare of local media. Magic was more or less legal in the old days.. same as now with drugs and some other stuff: *as long as it was restricted to the upper classes*. Thanks for the reblog once again, Oneoflokis. Grimoires must have been expensive, and I can’t see how these families would have afforded them. I am conjecturing here, but I imagine passing recipes through the generations by word of mouth would be how these people got to practise witchcraft of any kind. It’s the same today: witches keep their own recipe book, don’t they? The Book Of Shadows? Which should be destroyed at the witch’s death. Ah, the Pendle Witches… they tend to crop up from time to time. Fascinating read as usual, Kate… although I wasn’t too keen on the inclusion of cats brains in the concoction – they did some funny things back then, didn’t they? And you’re right about call centres – I used to work in one and the amount of customers who complained about the length of time it took to get through was unbelievable (they would have had time to invoke the presence of any number of demons whilst waiting on hold! ), but nothing was ever done about their complaints. It is, Julie. Grimoires make fascinating, if slightly uncomfortable, reading. Sad story. I can’t identify in my memory one single occasion that has shown me that the concept of heaven and hell has been anything but harmful. No: the thinking is far too polarised to every do much good, Roger. I’m with you on that. Another amazing post, Kate, and one I will return to for a re-read when I’ve had a tad more sleep. Take care, don’t stumble . . .
No 😀 Cat’s brains and all that: it’s not very domestic, is it? I was hoping for some great recipes to try out and it turns out to be the darkest of all. Angels and Demons revisited…can’t tell the players without a grimoire. Quite. A manual, a how-to. Of course, it could be a load of far-fetched poppycock….if only the real demons in life were as easy to deal with. I often feel that grimoires, whether in the form of recipes or road maps, must be of little help when navigating the dark recesses of human minds, especially those minds that fear all power unless exercised by them alone on other people. You are so right, Chris. I watched this whole business with Ian Brady, the manipulating of information right to the end of the life of the mother of the boy he murdered. Such an urge to manipulate. The greatest demon-fighters these days must surely be those who limit, and work to understand, the minds and emotions of one who has done something truly evil. As husband to a psychologist I have some inkling of how complex human minds are and how difficult it is to delve into ordinary people’s ways of thinking. It think it must be very demanding being a forensic psychologist trying to understand those with the propensity to do inhumane deeds. Fascinating Kate. 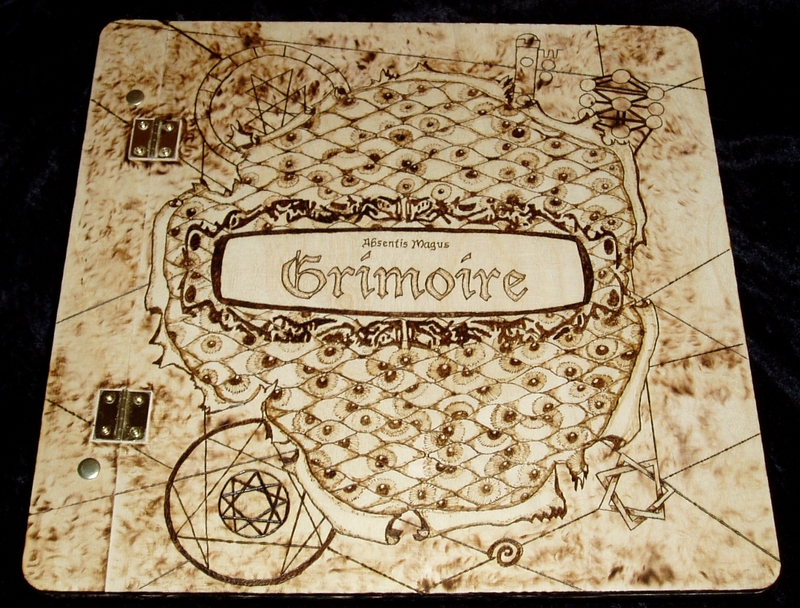 I don’t believe that I’ve even ever heard the term “grimoire” although I did used to live right near Pendle Hill where all those witch huntings took place. You lived near Pendle Hill? That must have been a very different life from the one you live now, Tammy! No: I fear the grimoires sidestepped the Pendle Witches. Even printed books were expensive. I think – and it’s pure conjecture – that they passed on what they knew through word of mouth. I lived in Clitheroe and yes, it couldn’t be more different – witches and all. As always, Kate, your recipes for post writing is tantalizing! From 1612, fast forward 80 years to Salem, Massachusetts to meet Susannah North Martin, one of 19 accused witches hung during those troubled times. Susannah, a feisty widow with a sharp wit, is my great, great, great, great, great, great, great grandmother on my father’s side. In the 19th century, poet John Greenleaf Whittier composed “The Witch’s Daughter” about Martin. And witch or not – God knows – not I? I’ve read Susannah’s trial testimony. It’s testament to her acerbic wit and “devil may care” attitude. Like many of the alleged witches in Salem, Susannah happened to be a female landowner with no male heirs. Once accused of witchcraft, she lost her land, but not her sense of self, or her sense of humor. I’d love to read that testimony, Nancy. What incredible ancestry you have: a Telstar engineer for a father, and one of the Salem witches as a forebear. I love reading these stories from the past, how people saw the world and what they believed. It would be so interesting to be able to talk to some of them. It would. I’d love to talk to one of the Pendle villagers, for sure. I, too, was going to comment about the Salem witch trials. Glad nrhatch did. It seems it was common to call someone a witch – especially if they owned land you lusted after. This same method, I believe, was behind the Spanish Inquisition. As always, I enjoyed your post, Kate. I think you are absolutely right, Judy : witchcraft was a most convenient accusation, unless you were its subject. I am sure this will not stun you, Kate, but I’ve never heard of the word “grimoire” until this post, but I’m not that much of a dimwit that I was unaware that you were talking about a book of spells. Wow, what frightfully ignorant times. Then again we have the Tea Party and a horde of crazy religious zealots and lame brains that refuse to believe that Obama was born in the US over here. Possibly the more times change the more they stay the same — at least when it comes to stupidity. What’s the spell to undo that? I wish I knew, Lameadventures. Bigotry seems to be timeless. Oooh, that’s a dark take on the theme. Loved it. As I was reading about the old witch I couldn’t help wondering: why would she identify herself as a witch knowing full well what might happen to her? Curiosity and the cat — wonder if that’s in Rofocale’s book. I can only imagine torture had its part to play, Kathy. Do you know the witch test – knowledge of it is common here – you would be weighted with stones and tied, and thrown into a deep pond. If you sank you were obviously innocent as you did not use your powers to save yourself: if you miraculously managed to escape, you were clearly a witch, for who else could escape such a certain death? Yes, I’m reading that Templars book — it takes place in the 13th and 14th centuries — and I cannot believe the absolute inhumanity with which these so-called civilized people treated one another. Thanks, Debra 🙂 Grimoires are fascinating: but full of the oddest recipes. Hi Marco, thanks so much for popping in and commenting. Glad you enjoyed it! A book of black magic! Have no doubt we have several versions in our many languages that are still in use 🙂 Brilliant take Kate. I bet you have, Madhu. Now I have an itch to search for them. What wonders they must be. Ah, well, there’s no accounting for traditional folklore…it is some time since I wrote this now – I’ll potter back through my sources – but I believe it has always been a tradition that a witch’s grimoire ends with that witch, however we may feel about it today.